Now an integral part of any successful marketing strategy, social media has matured. 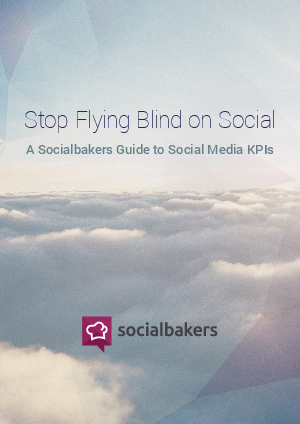 It’s no longer enough to simply be “on” social, measuring simple metrics. You need to be proactive on several platforms, engage with your audience, drive business goals, and then you need to put it all context. That means getting your KPIs right and reporting them intelligently. In this guide, we detail the metrics that are key to measuring success in brand awareness, customer care, sales, and more on social. Remember, it’s not about one metric, it’s about all of them. Here we provide a framework for getting your social measurement on track so you can start producing winning results on social. Download this paper to understand how to be successful in brand communication and brand awareness.